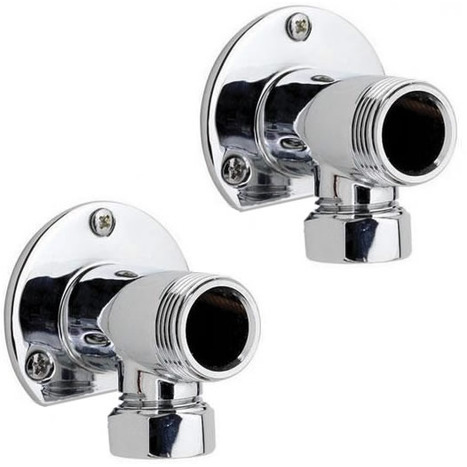 Bought these so that I could make my mixer unit surface mounted and they did the job exactly as advertised. I got what I ordered! 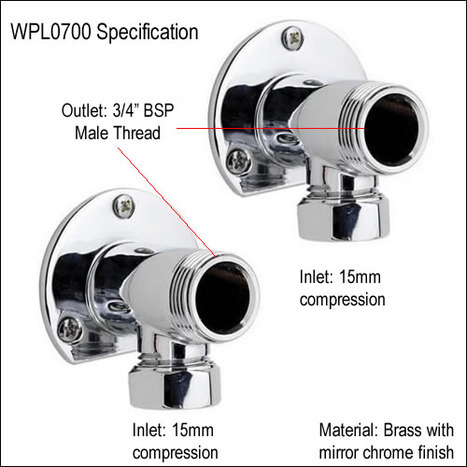 I ordered and received a pair of 15mm chromed flanged elbows in brass to fit, via exposed pipework, a 3/4inch inlet shower bar. The items arrived extremely well packed and within a few days by post. There is nothing remarkable about this order and its execution. This is how all orders should be conducted. I rest my case. Should I need something similar in the future I know which supplier to approach. 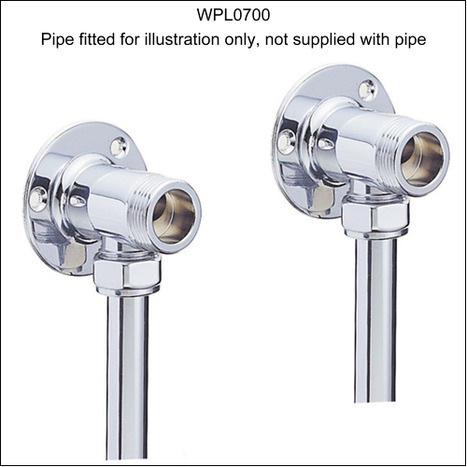 Includes free second class Royal Mail delivery with in the U.K.
WPL0700: Bar type shower mixer surface fixing back plate elbows. 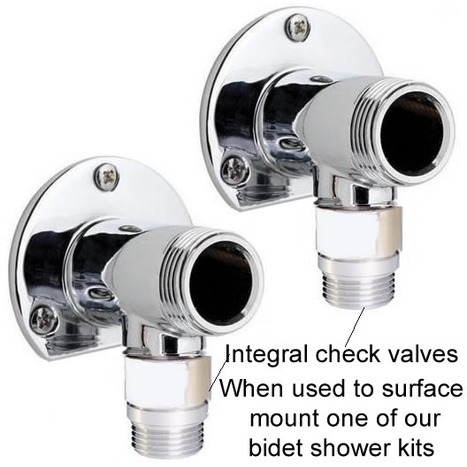 Enables surface mounting, with SURFACE PIPE WORK of our single lever shower mixers, such as the MIX5000, MIX5500, MIX5900, MIX6250 or our Bidet Shower kits, KIT3200, KIT4700, KIT5500, KIT5900, KIT6250, KIT6280 etc, in fact any mixer with 3/4" BSP female union nuts.